Advanced Micro Devices has a certain list on its website, where it shows all the processors for notebooks in its portfolio. That list has welcomed two accelerated processing units, one from the A8 line and one of the A10 series. Neither is based on the Richland architecture, sadly, even though the chips were finally released last week. They are still decent choices for laptops, with their TDPs (thermal design power) of 35W, 4 MB cache memory, and four cores (each). 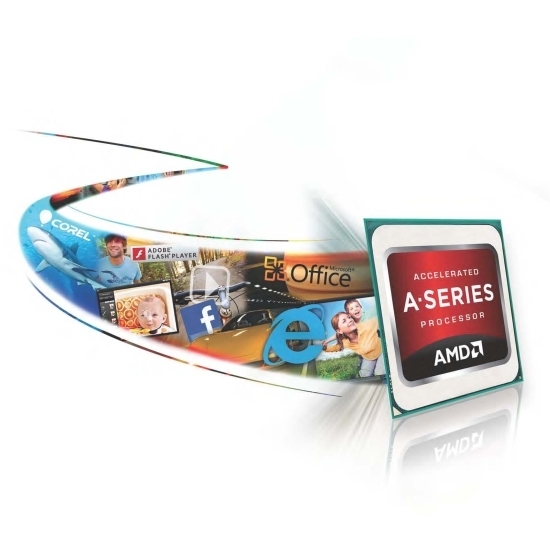 The A8-4557M has 1.9 GHz / 2.8 GHz clock speed (base, Turbo Core) and integrated Radeon HD GPUs working at 497 MHz / 655 MHz (256 stream processors). The A10-4657M is also a quad core, but runs at 2.3 / 3.2 GHz, and has a 497 / 686 MHz GPU (384 cores).